The Anarchy Live Podcast Episode 5 is up! So today we had another Apple event so I figured I'd let you guys know some of the things that happened and also give some of my opinions. I will tell you right away that the MacBook Pro has been updated and that now it starts at a little bit less but I'm never too interested in the MacBook lines so I couldn't tell you too much about those. I do know that they now have the 4th Generation Intel Processors that will give you better performance and battery. They also announced the Mac Pro, which hasn't been updated since about 2010, that's a great thing for a lot of professionals but the cheapest ones starts at $3,000 so I'm not even going to try to care about that one. Apple updated their OS X program which is now called Mavericks, first time OS X goes without a big cat name I believe. This new OS has been designed to take better advantage of your hardware so it should run smoother than previous versions of the program. It does have a bunch of new features but honestly nothing I'm super excited about. Don't get me wrong though, it's a very good update. What do I like the most about this update? The fact that it's not just for the newer Macs. You can actually install this on any Mac from 2007 and up. This to me is very impressive and I respect this a lot. I also respect the fact that they are giving it to us for free. In the past Apple has charged for updates and people certainly pay for the updates but this time they decided to charge for it. During the presentation they did try to bash Microsoft because Microsoft charges for Windows 8, but Technically Microsoft didn't charge to update Windows 8 to 8.1 so that's not totally fair. 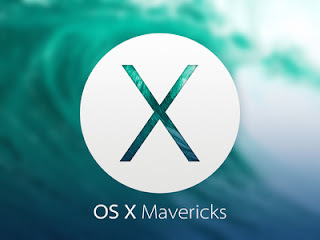 I will say this, the install process was very well made, you didn't have to be in OS X 10.8 to go to 10.9, you could have been in a older version like 10.7 and still update without having to install previous updates first. The installation did take twice the amount of time it said on my Mac Mini from 2011 but it wasn't difficult. Like I said the Update is free and you can download it now from the App Store. So as expected Apple announced a new iPad, as expected it was upgraded to the new A7 CPU we find in the iPhone 5s, as expected it is thinner and lighter, it actually only weighs 1Lbs. The bezel on the iPad has been decreased quite a bit and it looks kind of like a bigger iPad Mini. As you can guess by the title of this segment, the new iPad is not known as the "New New iPad" or the "iPad 5" it is known as the "iPad Air". Should be available in November. As usual the price starts at $500 for the 16GB one. No this is not me trying to specify that the new iPad Mini has a Retina Display, Apple really is calling this one "The iPad Mini with Retina Display". As you can guess, the iPad mini now has the retina display people have been begging for. But not only that, the iPad Mini is now truly an iPad Mini. Why do I say this? Because instead of being a cheaper version of the big iPad, it is now simply a smaller version, this iPad Mini contains the same A7 processor and basically the same everything as the iPad Air. Honestly I think this iPad Mini is the biggest news Today because it is the largest update. The older iPad Mini had the A5 processor, which is a few years old, it also didn't have a retina display, it was basically a smaller iPad 2, we've had 2 iPad since then and this update just plain skipped those two. Only problem with this one is that instead of keeping it's $330 price tag, it went up to $400. That's a $70 price jump! Do you remember when the iPad 3 came out? Apple decided they'd continue selling the iPad 2 for $400, so you could get the iPad 3 with Retina Display or for $100 less you could get an almost as good iPad without the retina display? Do you remember how when the iPad 4 came out the iPad 3 did NOT replace the iPad 2 in that deal? And we all thought "Well the iPad 3 and the iPad 4 are basically the same iPad, it makes sense" so we just let it slide? Well now the iPad Air (iPad 5) is coming, it is a proper update from the 4, so you'd think the 4 or maybe even the 3 would replace that iPad 2 right? WRONG! 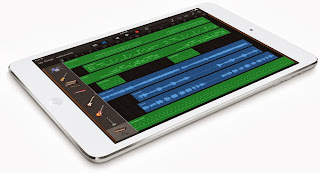 Apple will continue selling the iPad 2 for $400. 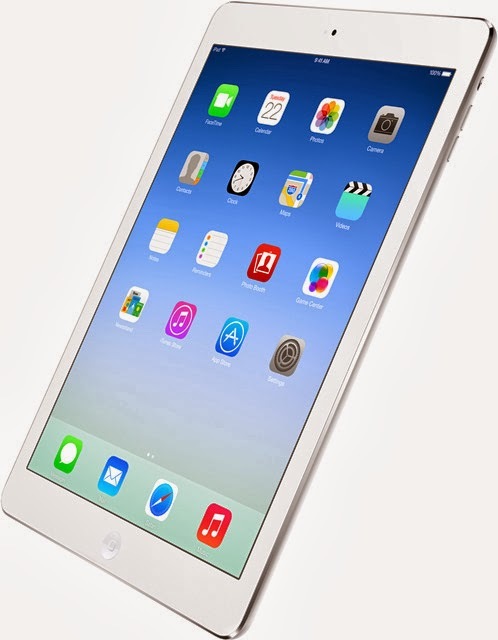 The original iPad Mini will also continue being sold and this one actually had a price drop from $330 to $300. So basically at the low end you have 2 iPad 2s (again the original Mini is basically a 2) and on the high end you have two iPad 5s. Ok so if I have $300 to buy a tablet I can buy the old iPad Mini, that's not too bad of a deal, a Nexus 7 however is a much better tablet specs wise (Quad Core CPU and Retina like display) and it only costs $230, build quality is not as good though so if you want good build quality, enjoy the Apple ecosystem, don't care for a retina display and don't need too much computing power, then the iPad Mini would be a good buy. Now if I have $400 to buy a Tablet I can get the iPad 2 which has a rather old A5 processor and no retina display, OR for the exact same price I can get the new iPad Mini which is only a little bit smaller but has all the top of the line specs including the Retina Display! I can't think of a reason why anyone would ever chose the iPad 2 here. I'm more excited about the new iPad Mini with Retina Display than I am of the new iPad Air, not sure if that's good or not. I'm not too crazy about the price but I guess with the specs it has I can understand. I was also a bit disappointed to not see Touch ID on any of the new iPads, I thought the fingerprint option would have been good, specially if they ever started opening that to other devs to use on their apps, I don't like typing passwords. Overall I'm going to say that in the $500 range, the Galaxy Note 10.1 is still my favorite tablet, for now, if we start seeing some special stuff being done on the iPad Air with the 64 bit processor I could change my mind, but right now I just feel the Galaxy Note 10.1 is more useful, for me anyway. The new iPad Mini is certainly my favorite tablet in the $400 range. I would give the $200 and $300 range to the Nexus 7 honestly I just think the A5 processor on the original iPad Mini is just too old. Google + Community: Click Here! Join Luis, Victor and Myself as we talk about Windows 8.1, Social Media changes you should know about, hating Time Warner Cable and much more! Just uploaded Episode 3 of the Anarchy Live Podcast! 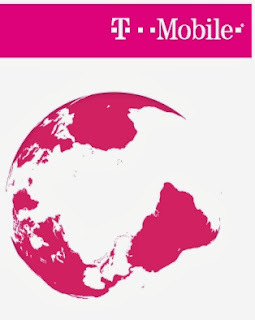 T-Mobile now covering the World! Yesterday T-Mobile took the stage to announce yet another step for their uncarrier idea. This time they are looking forward to helping out those of us who enjoy traveling outside of the country. One of the biggest fears people tend to have when going outside of the country is their cellphone. They know it's not going to work in another country and even if it does they will have to pay a lot to use it to make a phone call or send a text. You can't even THINK of using the data features since when roaming companies tend to charge you $25 per megabyte! Roaming charges are just ridiculous, and this is exactly what T-Mobile is trying to get rid of. So here is their new plan, there are 100 countries where Simple Choice T-Mobile customers are going to be able to go to and use their phone to make phone calls for 20 Cents per minute. Not only that but you'll get Unlimited Texting at no additional charge and you'll also get Unlimited Data at no additional charge. Now, don't get too excited about the data part, it's going to be slow data, but should still be fine for getting emails and some status updates done. If you want the best data speeds possible you'll have to get a local line working on your phone. T-Mobile will be offering an extra service where you can pay for a certain amount of Megabytes to use at faster speeds, but they are very clear when they say this would be at the fastest speed they can deliver, so, in some countries the really slow speed may very well be the best they can deliver. Simple Choice customers will not have to do anything to get into this Roaming free plan, they will simply be switched over on October 31st when the whole thing starts. T-Mobile see's this as them now having a much larger coverage map than Verizon and AT&T put together since both of those will only cover you in the US. T-Mobile has also been thinking about those of us who enjoy calling outside of the country, they unveiled their new Stateside International Talk & Text feature. 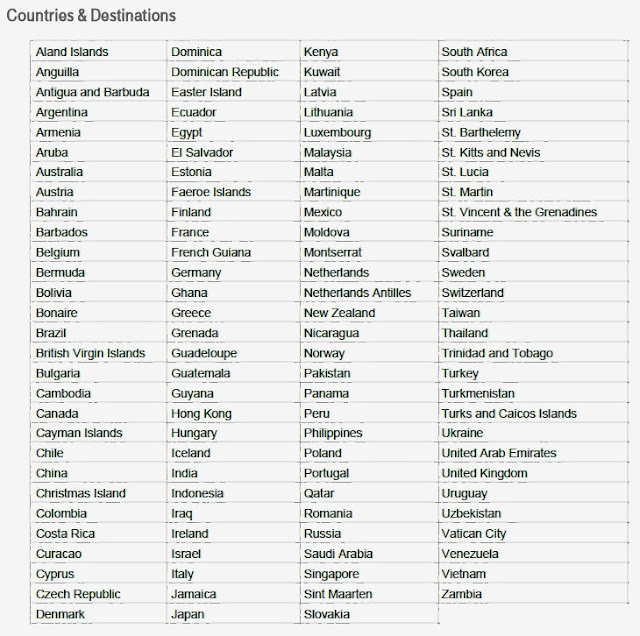 This plan basically lets you call the same 100 countries for at most 20 cents per minute. Over 70 of those countries will never cost you anything more unless you are calling another mobile number, those will most probably always be 20 cents per minute. Texting is unlimited. This service will be available to most Simple Choice customers for an extra $10 a month. What does MOST Simple Choice customers mean? No clue yet. As some of you may already know, I help my friends Equis and Victorino with their podcast called Game X Presents. I also have my own podcast that I do with them called Anarchy Live. A few weeks ago I had no idea how to even start publishing my own podcast. For a while we were making a video out of the file and uploading it to YouTube. So I've been working on what I feel is the best setup for our podcast. The problem with this is that a lot of things can change while you figure it out. With Game X Presents for Example I started using a service called libsyn to host the podcast. It was working great but it's not free and can get expensive. Anyway point is some things have changed and while I hate doing that, I think that now is the best time because lets face it, not that many people listening right now. I do appreciate your patience with all this, I am hoping that this new setup is a lot more permanent. If you are reading this and you've never had a chance to listen to our podcasts, please feel free to check them out, you may learn something or there may be something you can teach us!